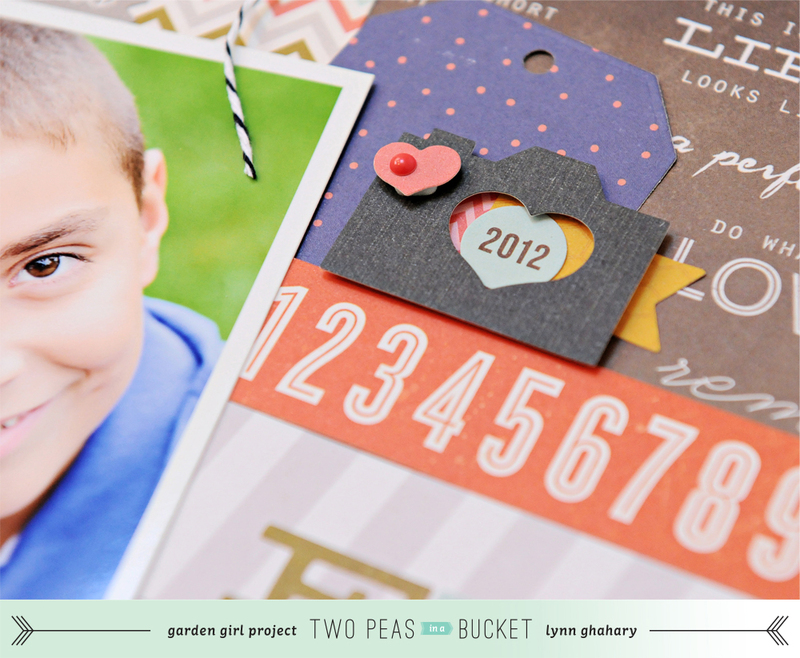 Recently Two Peas In A Bucket launched a brand new educational program for 2013 that includes videos from the Garden Girls six days a week. Yep, that's right! SIX days a week - Monday through Saturday. 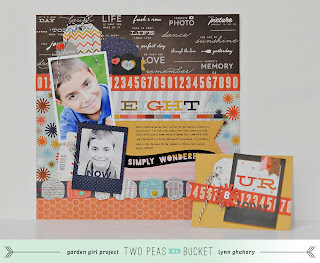 I was asked to contribute to the Seeing Double which focuses on creating both a scrapbook layout and a card (or tag, altered project, etc) with the same set of supplies and/or techniques. 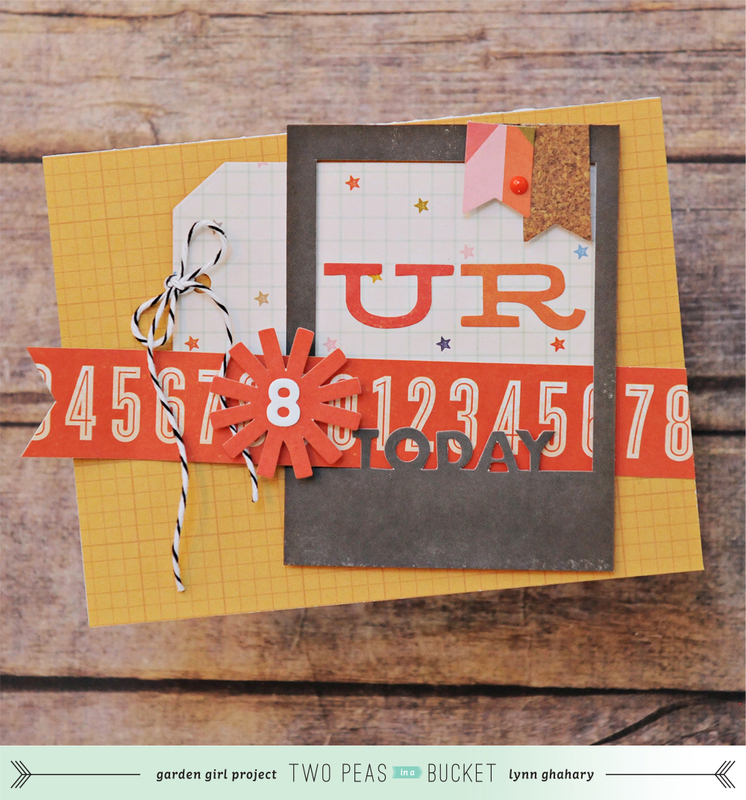 I often call myself a card making scrapbooker (or is that scrapbooking card maker? LOL) so this video series is simply perfect for me! For my first video I chose to focus on using the same set of supplies - the adorable Flashback collection by KI Memories - to create both a layout and a card (seen here at Two Peas In A Bucket). I am generally a “collection scrapper” - I will often pull out an entire collection of products from a particular manufacturer to use, and then add in bits and pieces from other companies when needed. 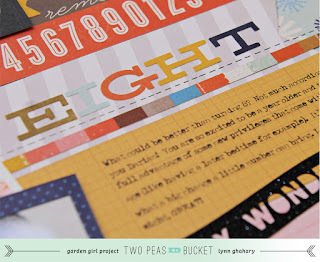 Scrapping this way just seems natural to me - I'm a wee bit “matchy matchy” so I know the colors will all work together and it saves a ton of time as I don't have to search for other products that match, etc. 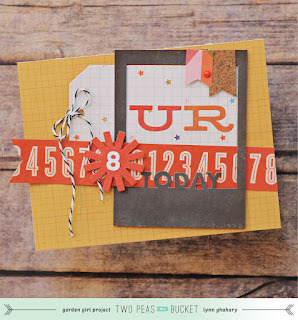 And while all of the supplies I needed were right out on my work table, I created a card as well. 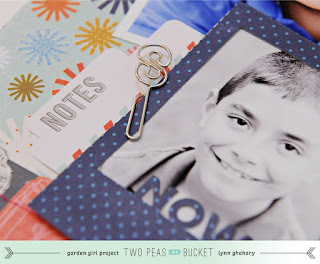 It's a great way to use up those smaller pieces of paper leftover from your layout. 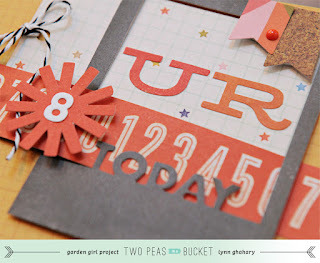 You will see in the video that I use similar design elements and principals when creating my card. If something works on a layout, chances are it will work on a card as well (it may just need to be scaled down in size). 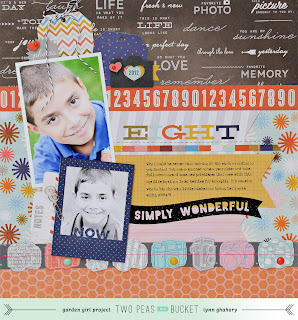 loving the colors and the layers! Fab job! Love your LO and the papers used were just fab. Love the KI papers and colors. Thanks for sharing your process. My new fave from you!